Welcome to Children’s stool from Jungle by Jungle - Maternity, Baby and Toddlers. 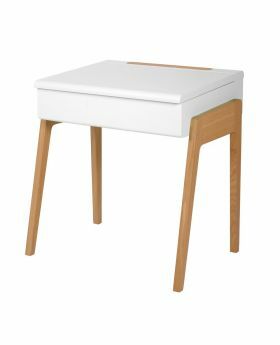 This elegant, Scandinavian style inspired stool from Jungle by Jungle comes in matching colour with their desks. Dimensions: H 30cm x W 27 cm x L 27 cm. Made out of solid oak wood. Suitable for children aged between 3 and 6 years.